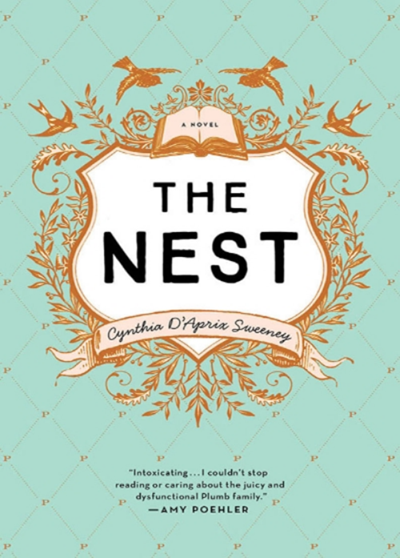 Cynthia D'Aprix Sweeney's New York Times Bestseller The Nest was named a best book of 2016 by People, the Washington Post, the San Francisco Chronicle, NPR, Amazon, Refinery29 and LibraryReads. The book was also a Goodreads choice fiction finalist, a Barnes & Noble Discover New Writers’ Pick and an Indie Next #1 Pick. Foreign rights have been sold in more than 25 countries.